JK Rowling was born in 1965 near Bristol, England and grew up in Gloucestershire and South Wales. She loved to read, and especially loved the fantasy books her parents read to her, so she began creating stories to tell her younger sister Di. She wrote her first story when she was six-years old about a rabbit named Rabbit. The rest, as they saw is history. We've all read the books, seen the movies, and visited the theme parks. Harry Potter is a worldwide phenomenon. But Joanna "Jo" Rowling lived a life of struggle before hitting it big with Harry, Ron, and Hermione. She studied French and Literature at Exeter University and worked at a number of secretarial jobs after college. She had a habit of losing herself in the stories she was writing down and neglecting work, leading to her being fired multiple times. Though Rowling got the idea for Harry Potter and the Philosopher's Stone – the first book in the series – during a train trip, she didn't write it until several years later. 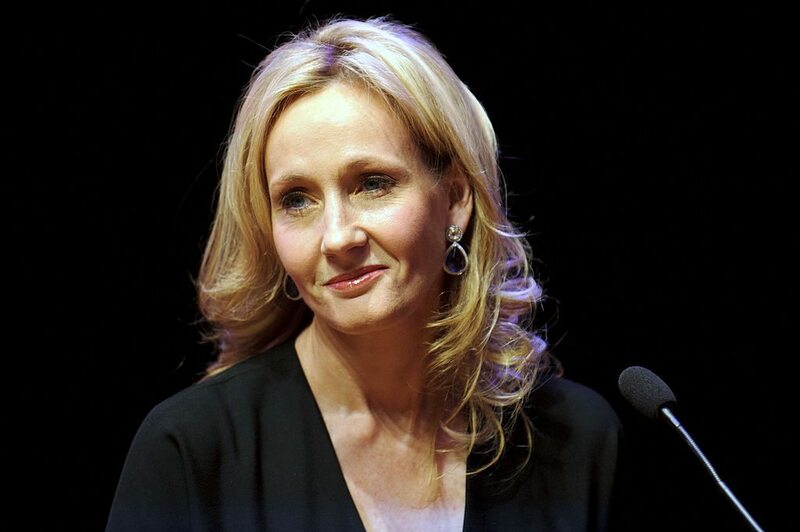 Rowling's mother died on New Year's Eve 1990 after a 10-year battle with multiple sclerosis. She was just 45, and Rowling was devastated. Rowling left England to teach English in Portugal. While in Portugal, she met her first husband, a journalist named Jorges Arantes and continued to write. Rowling's daughter Jessica was born in 1993 and her marriage ended soon after. She packed up and moved to Edinburgh to be closer to her sister Di. In Edinburgh, Rowling continued to write, but her circumstances were deteriorating. She was a single mother living off welfare in a dingy government subsidized apartment. While her daughter slept in her carriage, Rowling would write in a coffee shop, where she had to battle the owners to stay, as they didn't want her there all day, writing in longhand, while ordering only one cup of coffee. Her determination and belief in herself as a write would of course eventually pay off, but can you imagine writing out a roughly 700 page book by longhand and then typing it up on a manual typewriter? She applied for a grant from the Scottish Arts Council that helped her buy a typewriter and she meticulously transcribed her longhand notes into the typed manuscript for Harry Potter and the Philosopher's Stone. It was 1995, and the manuscript was finished. Rowling secured an agent at the Christopher Little Literary Agency and they submitted the magical manuscript to 12 publishers. It was rejected at all 12. After a year, Harry Potter finally found a home at Bloomsbury. Rowling was granted a $1500 advance, which seems ridiculous in hindsight with all the money the series has made and worldwide acclaim it has accumulated. Her publisher advised her to keep her day job, as there just isn't much money in children's literature. The first printing of Harry Potter and the Philosopher's Stone had a run of 1,000 copies, 500 of which were sent to libraries. Today, those original 1,000 books are worth $16,000 to $25,000. In early 1998, an auction was held in the U.S. for the rights to publish the book. Scholastic, Inc won and paid Rowling $105,000. The book was published in the U.S. as Harry Potter and the Sorcerer's Stone. 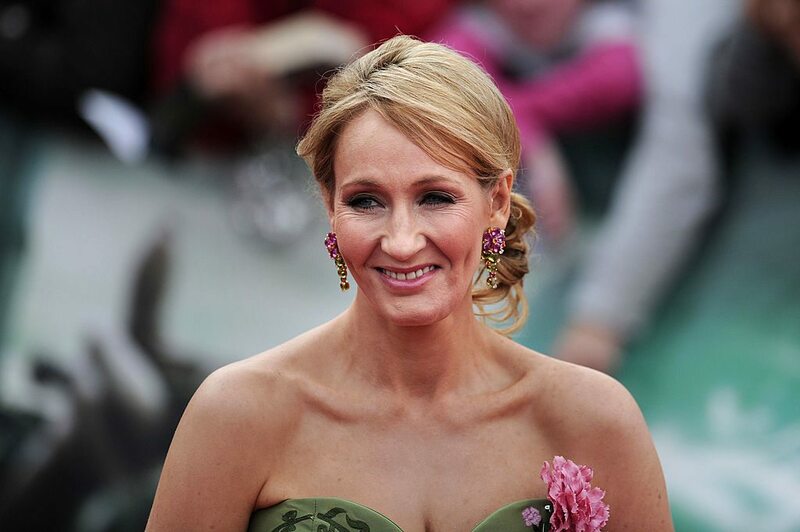 The money from the U.S. sale enabled Rowling and her daughter to move into a new home. We all know what happened. Worldwide success. Legions of fans. Movies. Theme parks. Harry Potter took over the world and made Rowling a very rich woman. In fact, in 2004 Forbes named Rowling the first person to become a billionaire by writing books. She has donated more than $160 million of her fortune to charities including those supporting single parents and multiple sclerosis. In 2006, Rowling released the seventh and final book in the series that has sold more than 400 million books worldwide. In fact, the last two books, Harry Potter and the Half-Blood Prince and Harry Potter and the Deathly Hallows, sold nine and eleven million copies within 24 hours of their releases. Harry Potter has been translated into 65 languages. In 2001, Rowling married Dr. Neil Murray at their mansion in Perth, Scotland. The couple have a son, David and a daughter, Mackenzie. Through an unshakable believe in herself and an ambition that drove her to keep writing even when life looked its bleakest, Joanne "JK" Rowling became a billionaire, a celebrity, a philanthropist, and created characters and a world beloved by millions of fans of her books and their film adaptations. JK Rowling is worth $1 billion dollars thanks to her boy wizard.